Edson Marine added a new style to its Diamond Series lightweight aluminum racing wheels for sailboats. The Double Black Diamond has a new six-spoke configuration. The spokes are paired, giving the skipper better access to, and visibility of, the vessel’s electronic displays, according to Chuck Gilchrest, sales manager for Edson’s marine division. 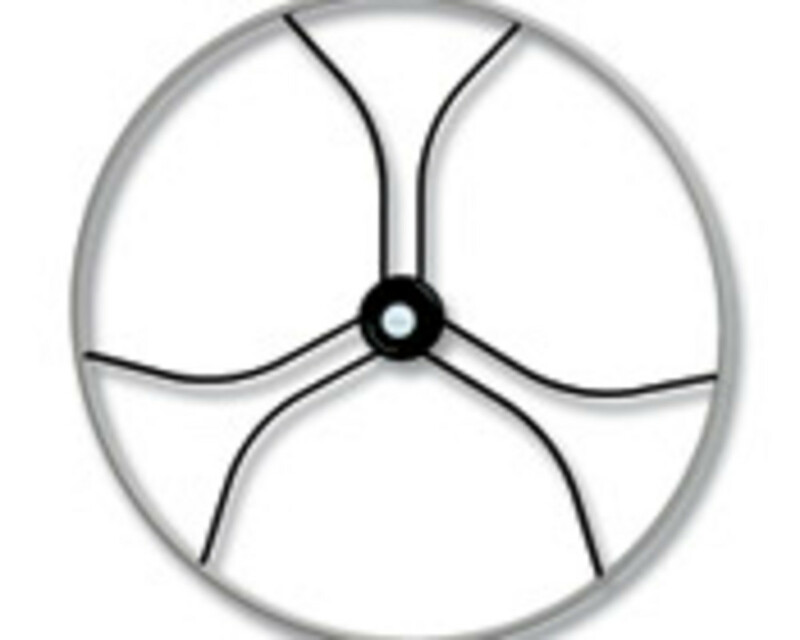 Available in a 48-inch diameter, the wheel uses the same airfoil-shaped aluminum spokes as the original Diamond Series wheels. The wheel is black powder-coated and comes with Edson’s gray ComfortGrip leather wheel rim cover. Retail price is $2,655. Contact: Edson Marine, New Bedford, Mass., (508) 995-9711, www.edsonmarine.com.